If you want to structure the positions of your project into several sections, you can use the phase management. 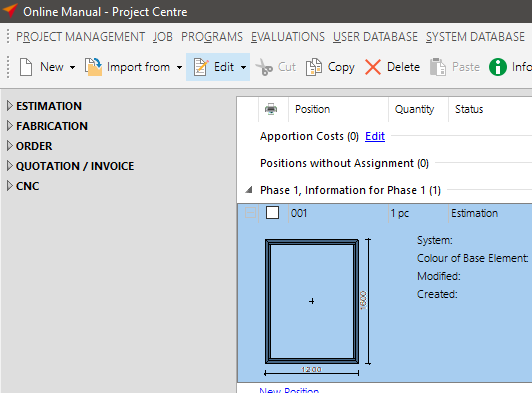 To create a new phase, click in the project center inside the toolbar on the arrow next to the button „New“ and select the option „Phase“. 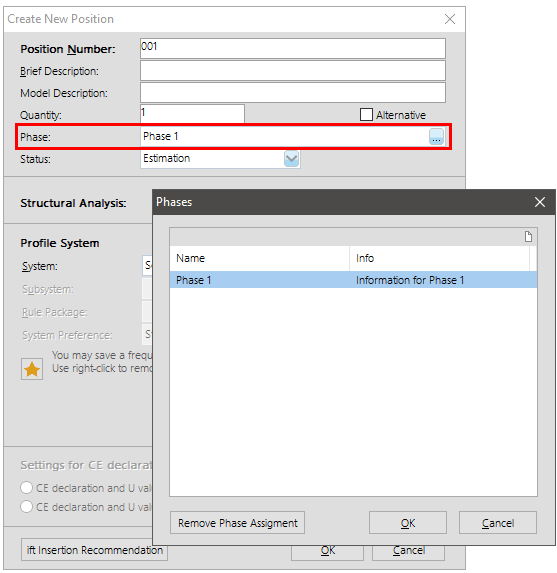 To assign a position to a phase, select the phase in the programme dialogue where you create a new position. A position can be assign to a phase afterwards. Make a right-click with your mouse on the position. 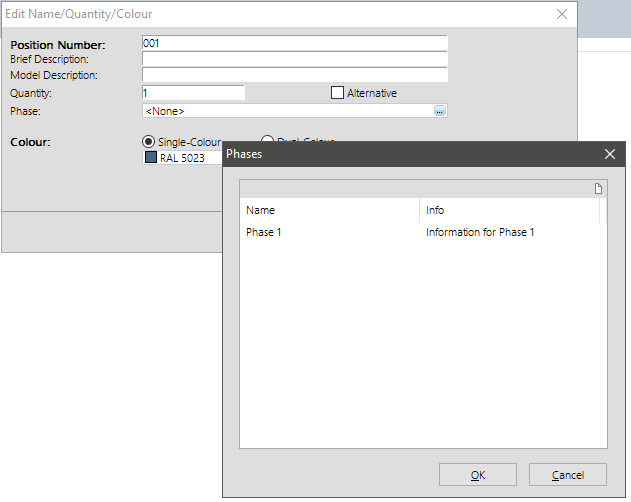 Select in the context menu „Edit“ > „Name / Quantity / Colour“. Under „Phase“ you can select the phase the postion shall be assigned to. In the project center the positions will be displayed in the positin list under the phase description.